Combine premier accommodations with the premier watersports experience in Osoyoos to create a truly exceptional vacation. 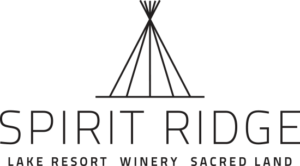 A true oasis, Spirit Ridge places you in the heart of the south Okanagan’s rich cultural landscape. Surrounded by dramatic sun-drenched landscapes, miles of vineyards and views to Lake Osoyoos’ warm, blue waters, Spirit Ridge offers world class dining, golf, spa facilities, unique cultural opportunities at the cultural centre, and of course watersports packages with Wakepilot. Designed to accommodate breathtaking views and al fresco luxury, this 4.5 star resort embraces you and your loved ones with exacting details from nine-foot ceilings to gourmet kitchens, opulent bedrooms with room enough for all of you, plus spacious balconies and patios perfect for BBQs. To book your Wakepilot Vacation Package with Spirit Ridge, call them directly at 250.495.5445 and ask for the Wakepilot package. Alternatively, you can book online at www.wakepilot.com/rates using discount code SPIRIT to receive special Spirit Ridge pricing.